India is on course to lease out a second Akula-II nuclear-powered attack submarine from Russia with the two countries hammering out a deal worth almost $3 billion on Thursday, two officials said on the condition of anonymity, report Hindustan Times. The Indian Navy currently operates one Akula-II attack submarine, called Chakra II, leased from Russia in 2012 for 10 years. The second Akula-II being leased is likely to join the Navy in five to six years and will be called Chakra-III, the officials said. 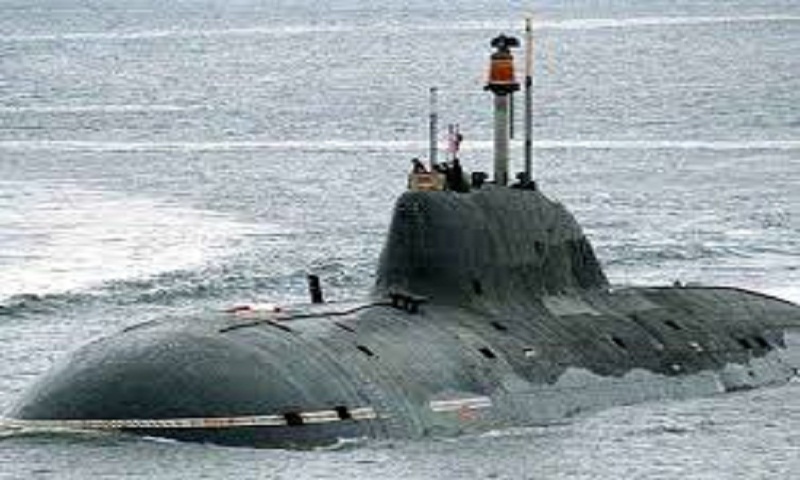 It will be the third Russian submarine to be leased to the Indian Navy. Defence ministry spokesman Colonel Aman Anand refused to comment on the deal. “If a second nuclear-powered attack submarine is leased, it would significantly add to the Navy’s underwater domain capability. It will also take us ahead on the operational, tactical and technical as well as eventual indigenisation curves,” said military affairs expert Rear Admiral Sudarshan Shrikhande (retd). Apart from an Akula-II nuclear-powered attack boat, India currently operates 13 ageing conventional submarines, one Scorpene-class submarine INS Kalvari and the indigenous nuclear-powered ballistic missile submarine INS Arihant, which successfully completed its first deterrence patrol in November 2018. The fully operational Arihant completed the sea leg of India’s nuclear triad, giving it enduring nuclear strike and counterstrike capabilities. The second Arihant-class submarine, called Arighat, was secretly launched in 2017 and is likely to join the naval fleet in 2021. The Navy will induct its second Scorpene-class submarine Khanderi in April-end, a navy official said. Commissioned in December 2017, INS Kalvari is the first of six Scorpene submarines being built at Mazagon Dock Shipbuilders Limited in Mumbai, under licence from French firm Naval Group, previously called DCNS, under a ₹23,562-crore programme called Project-75. The Navy hopes to induct all the six diesel-electric attack boats by 2020. The lease of Chakra II could be extended beyond 2022, said one of the officials cited above. “One hopes that the lease of Chakra II is extended. Ideally, if two such boats are operated, it would be good,” said Shrikhande. India’s sub-sea power is way behind China’s. The neighbour’s underwater capability is far superior with more than 60 diesel-electric attack submarines and a mix of 10 nuclear attack submarines and nuclear ballistic missile submarines, experts said. Six more advanced submarines are also to be built under project P-75I under the Make in India initiative to scale up the Navy’s undersea warfare capabilities and counter the swift expansion of China’s submarine fleet.